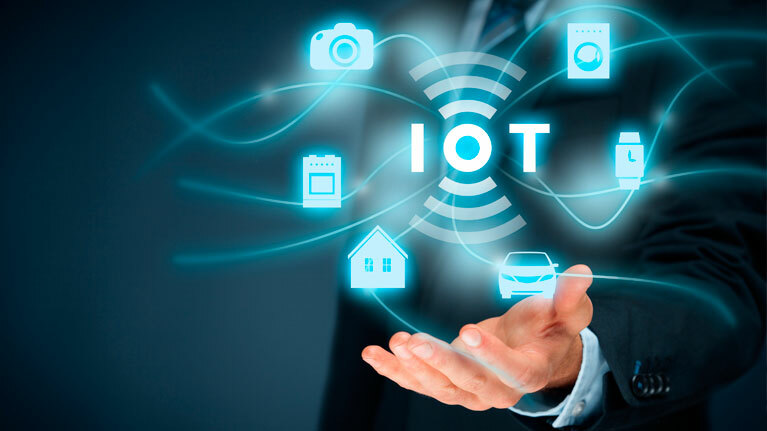 Internet of things or IoT is a computing concept that includes the idea of connecting everyday physical objects to the internet and being able to identify themselves to other devices. The idea is amazing because an object can represent itself digitally and becomes something greater than itself. Now, the objects not only relate to its user only, but it is now connected to surrounding objects and database data as well. When many objects act together, they are known as having Ambient Intelligence. IoT depicts such a world where anything can be connected and communicate in an intelligent fashion. In other words, internet of things has made the physical world a huge information system. IoT can be assumed as a revolution in our methodology of interaction with technology and has fundamentally changed the way we live our lives. The term Things that we use in Internet of Things are daily use objects that we regularly use in our household. Only hook up them to the internet. It’s really that simple. The embedded technology in the objects helps them to interact with internal states or the external environment, which in turn affects the decisions taken. It extends internet connectivity beyond traditional devices like desktop and laptop computers, Smartphone and tablets to a diverse range of devices and everyday things that utilize embedded technology to communicate and interact with the external environment, all via the Internet. When devices can represent themselves digitally, we can control them from anywhere. In this case, connectivity helps to capture more data from more places, It also ensures more ways of increasing efficiency and improving safety and IoT security. IoT is transformational forces that can help companies improve performance through IoT analytics and IoT Security to deliver better results. Businesses in the utilities, oil & gas, insurance, manufacturing, transportation, infrastructure and retail sectors can reap the benefits of IoT by making more informed decisions, aided by the torrent of interactional and transactional data at their disposal. It help to reduce organizational cost by improving process efficiency, asset utilization and productivity. With the improvement of tracking devices using sensors and connectivity, real-time insight and analytics have proved beneficial. These can now be used to take smarter decisions. The growth and convergence of process, data and things over internet have made such connections more important and relevant. Also create more opportunities for people, industries and businesses. We can consider IoT as a network of physical devices, home appliances, and others embedded with software, sensors, electronics, connectivity and actuators that can enable these things to connect, collect and exchange data. It is aimed to extend Internet connectivity beyond standard devices like computers, laptops, smart phone etc. to any non-internet-enabled physical devices and household objects. These devices can communicate and interact over the Internet by embedding with technology so that they can be monitored and controlled remotely. The concept of a network of smart devices was first discussed in 1982. It was a modified Coke machine at Carnegie Mellon University that became the first Internet-connected appliance. It was able to report its inventory and also tells whether newly loaded drinks were cold. IoT has evolved from the convergence of wireless technologies, microelectromechanical systems (MEMS), microservices and the internet. The convergence has helped tear down the silos between operational technologies (OT) and information technology (IT), enabling unstructured machine-generated data to be analyzed for insights to drive improvements. IoT evolved from machine-to-machine (M2M) communication. Taking M2M to the next level, IoT is a sensor network of billions of smart devices that connect people, systems and other applications to collect and share data. Internet of things consists of web-enabled smart devices that use embedded processors, sensors and communication hardware to collect, send and act on data they acquire from their environments. IoT devices share the sensor data they collect by connecting to an IoT gateway or other edge device where data is either sent to the cloud to be analyzed or analyzed locally. Sometimes, these devices communicate with other related devices and act on the information they get from one another. The devices do most of the work without human intervention, although people can interact with the devices. For instance, to set them up, give them instructions or access the data. In the middle of creating a huge, reliable and vast IoT network, there comes a significant issue called Standard Compatibility. All connected objects must be able to communicate with each other to transfer data and share what they are recording. If all of them don’t run on standard, they struggle to communicate and share. Thus, for the smooth communication among devices under IoT, The Institute of Electrical and Electronics Standards Association lists a huge number of standards being developed and worked on for different applications. Microsoft has introduced its own system for IoT devices. Called IoT Central, TechCrunch, reports the system gives businesses a managed central platform for setting up IoT devices. Microsoft claims the systems will simply the creation of IoT networks. Internet of things (IoT) connects billions of devices to the internet and involves the use of billions of data points, all of which need to be secured. Due to its expanded attack surface, IoT security and IoT privacy are cited as major concerns. As devices under IoT are closely connected, hacking can be very dangerous. A hacker can easily enter to the network. all he has to do is exploit one vulnerability to manipulate all the data, rendering it unusable. There is also an issue with a manufacturer who doesn’t update their devices regularly, leave them vulnerable to cyber criminals. Connected devices often ask users to input their personal information, including names, ages, addresses, phone numbers and even social media accounts – information that’s invaluable to hackers. Hackers are not the only threat for internet of things. Privacy is also a noticeable concern for IoT users. Beyond data issues, IoT has several others risks regarding critical infrastructure, including electricity, transportation and financial services. For more informative and updated technical article, keep visiting our Tech Blogs.